In the barrage of red and pink pre-Valentine merchandise and gifts, if you spot a little bit of purple and lavender, it is not because these colours make a pleasing colour combination.The colour purple and lavender are often associated with epilepsy and its awareness drive. Today, on the 11th of February, India along with 120 other countries is celebrating World Epilepsy Day. Epilepsy, also known as seizure disorder is a disorder that occurs when the nerve cell activity in the brain is disturbed, which can cause seizures. Globally, 70 million people are affected by it. World Epilepsy Day is celebrated to create awareness about the disorder. 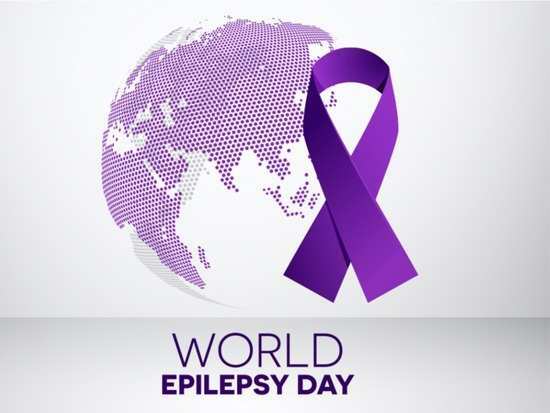 Every year, second Monday of the month of February is celebrated as the World Epilepsy Day by more than 120 countries to spread awareness about the disorder; it impacts on the lives of patients, their families, personal lives, and career. To create more awareness about epilepsy, events and support camps etc are held across cities. During such events, purple plays a major role during such an event, as it is regarded as the colour of epilepsy. But turns out, there is an interesting reason for it. Seizures caused when someone is suffering from epilepsy often occur due to abnormal electric impulses in the brain. One of the most direct ways to treat such an episode is to attempt to relax the brain and calm the nerves. It is said that the colours purple and lavender have a relaxing event on the brain. The lavender plant is in fact, is proven to act as a relaxing agent for the central nervous system. Lavender is also the internationally recognized flower for epilepsy. However, it must be noted that herbal treatments and vitamins and mineral intake can only aid the process and not replace the medication meant for it. Can fasting play a role in boosting metabolism? 2Can fasting play a role in boosting metabolism? 4Did you know that just like Valentine's Day there's also a Galentine's Day? 6Has #MeToo changed how we dress for work?